The People’s Democratic Party (PDP) says the verdict of the Rivers State governorship election tribunal sitting in Abuja, showed clear bias against Governor Nyesom Wike and the PDP. PDP National Publicity Secretary, Chief Olisa Metuh, in a statement on Saturday said indications to this spurious judgment had months ago been hinted to the PDP, which in turn, alerted the nation and the international community of the heinous plot by the APC government, to use the judiciary and various security agencies to reverse the victory of the PDP in Rivers, Delta, Akwa-Ibom, Taraba and Abia states. 1. The curious and controversial relocation of the elections tribunals from their states to Abuja without any justification. 2. The constant juggling of judicial officers and members of governorship elections tribunal in PDP states, especially, Rivers and Akwa-Ibom states. 3. Constant harassment of judicial and electoral officers involved in the governorship election cases in these state, using agencies of government, particularly, the Directorate of State Services (DSS) under the direct command of a known APC member, Alhaji Lawal Daura. 4. Constant threats, intimidation and coercing of witnesses against the PDP in the tribunals. 5. The recent mass transfer of security operatives, especially the DSS and police personnel that actually participated in the conduct of the elections in Rivers and Akwa-Ibom, ostensibly to frustrate the course of genuine evidences in the process. “The bias in the judgment against the PDP in Rivers as well as Akwa-Ibom is evidenced in the contradictions inherent in the trial process of the two cases and the verdicts therein, whereby the tribunals clearly disregarded standing legal norm that a petitioner must establish prove of claims. “Also curious is the fact that after both the petitioner and respondent agreed before the tribunal that both card reader and manual accreditations were used for the election, the tribunal still went ahead to base its decision on issues of card reader. “While it is convenient to them to use legal technicalities to deny PDP victory in Imo, Lagos, Ogun and Yobe states, the same rules are misapplied to wickedly favour APC petitioners in Rivers and Akwa-Ibom states. “It is therefore evinced that these contradictions are direct fall-out of compromises as well as boasts by the APC of being in direct and remote control of the tribunals. If not, how can one explain the fact that while governorship elections are being upturned in PDP states, in APC states, where similar claims and facts are in contention, elections are being upheld. “Further proof of bias by the Rivers tribunal is the fact that less than 24 hours after various counsels submitted nine written addresses and documents, the tribunal rushed its notice of judgment, an action ostensibly aimed at ambushing the pending Supreme Court action on the issue of jurisdiction regarding the relocation of the tribunal outside River state, which was due to be delivered on Tuesday. “This is not withstanding the fact that the tribunal has up to seven days after of receipt of addresses, to deliver its judgment, but chose instead, to rush to deliver this spurious verdict even on a Saturday, a development eliciting suspicion that the judgment may have since been predetermined and written even before the commencement of the case. “The PDP calls on all Nigerians and the international community to note this growing manipulation of the judiciary by the APC government, a factor which portends great danger to our democracy and the stability of our country. “Nigerians would want to recall that under the PDP-led government with former President Goodluck Jonathan’s commitment to the tenets of democracy as encapsulated in the safeguard of ‘one man one vote’ and the independence of the judiciary, the PDP conceded electoral defeat in Edo, Anambra, and Imo states without attempting to collect victory through executive manipulation of the judicial process. “The PDP restates unequivocally that this judgments must not stand in view of the prevailing inherent contradictions, in addition to the huge threat they portend to our democracy and national stability. “Finally, the PDP charges all lovers of democracy, particularly our members in Rivers and Akwa-Ibom state not to be daunted, as these judgments will not stand the test of the law and the will of the people. 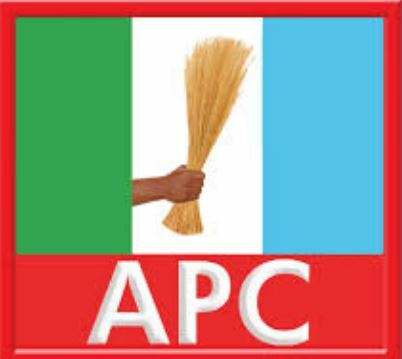 We therefore reassure that the PDP will do all within the ambit of the law to resist this criminal attempt by the APC to steal and thwart the will of the people,” the statement read. Wike’s election was mared with irregularities,shooting and killing of people of opposing party to make way for majority of PDP members to vote;hence all Nigerians support the cancellation of that eletion. PDP need not entertain fear if they have the control of people of Rivers state.